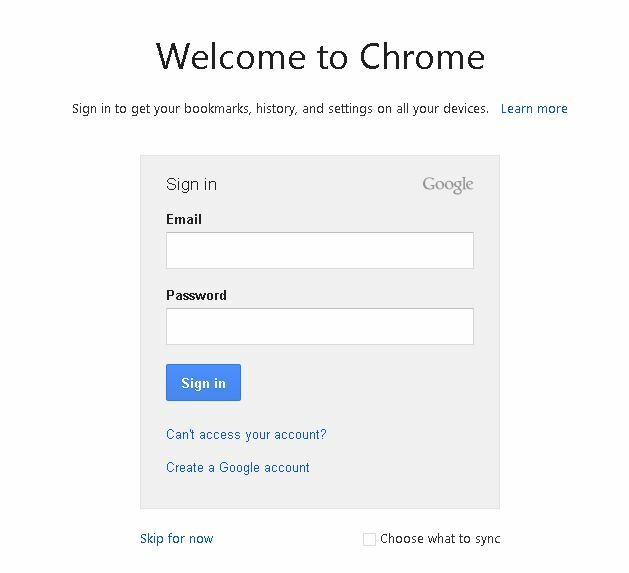 For staff using Google Apps for Education, it is very important that when you are logging into Google Chrome at your school to login to your computer first as yourself only. 1. Find the Chrome shortcut on your desktop and double-click it. 2. If you have never signed into chrome you will get a welcome screen. Note: if you haven’t changed your password contact your domain administrator. 5. You may see 2 things happen. You are signed in with a managed account… if you see this press the Ok button. Or, you will see a screen that asks you to link your data. Press the link my data button. 6. You have successfully logged into your Chrome browser and you have access to all your Google Apps. The big box is called the Omnibox: here you can google search or type in a web address. Right of the Omnibox you will see a Star, when you visit a website you want to bookmark, press the Star. Left of the Omnibox you will see a circle arrow (this refreshes the screen). Left of the Omnibox you will see a house (clicking this will take you to your home page, which probably is your school’s website. Very top you will see tabs or New Tab (clicking here will allow you to browse multiple websites). Classroom Integration: There are countless reasons why using Google Chrome can help you not only as a teacher but in everyday life. Here are a few ways to integrate. Chrome Apps, in the Chrome Web Store on the New Tab page you can download various apps that range from educational to anything you want. Chrome Extensions, in the Web Store, you can download extensions (programs can modify and enhance functionality). Many of these extensions will you and your students productivity. Access Google Apps instantly in the New Tab page. Saving countless passwords for all the websites you visit, this shave off time remembering and entering them in. Faster browsing experience, you always ask others to Google It! Then, use Google’s web browser. You or your students can login to your Chrome account anywhere and have your bookmarks, apps, extension, and history follow where ever you go. Gaining better experience in Chrome may give your school a reason to move to a 1 – 1 Chromebook school. Next Next post: Google Chrome Browser Update!